SOLD OUT... Monogrammed Tote Bag. These eye-catching bags are sure to get a second glance wherever the day's travels take you. They are bold with a quatrefoil pattern, front zipper pocket. You will find this a perfect carry all tote. Purchase one for yourself or give as a gift for a bride, college student or friend-family holiday present. Add a personal monogram. 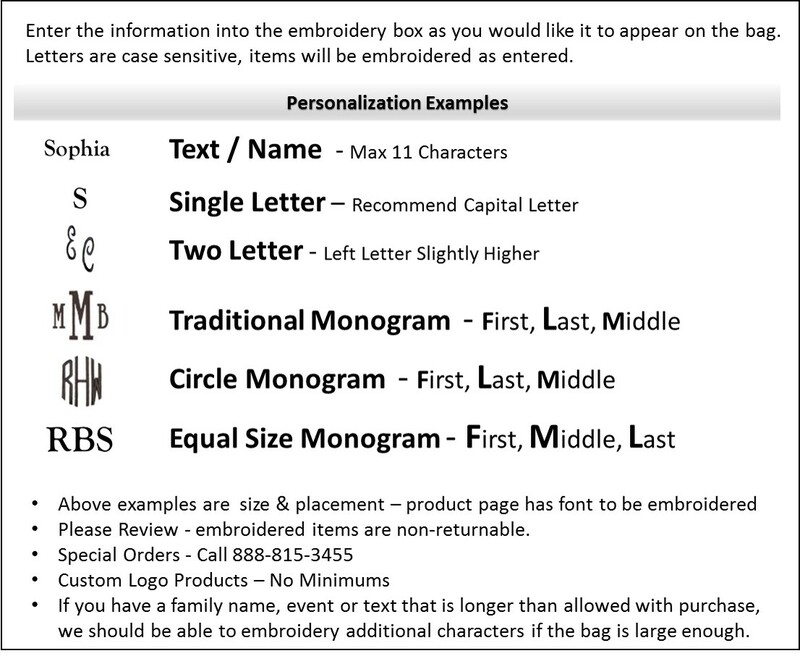 Monogrammed quatrefoil micro-fiber tote bag measures 21"W x 14"H x 6.5" across bottom. Lined with inside wall pocket, web handles and zipper closure.